A booky few days! Two launches and a festival! …that’s better. I’ve had a flurry of booky events over the past few days; all fantastic! First of all there was my great author pal Susie Day’s book launch at Blackwells Bookshop in Oxford last Friday. 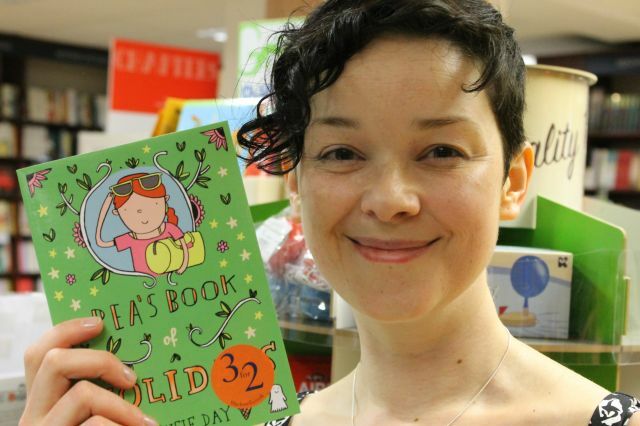 Susie’s series of books about Pea and her family are just brilliant, and I urge anyone with kids aged 8-12 (boys AND girls) to check them out. 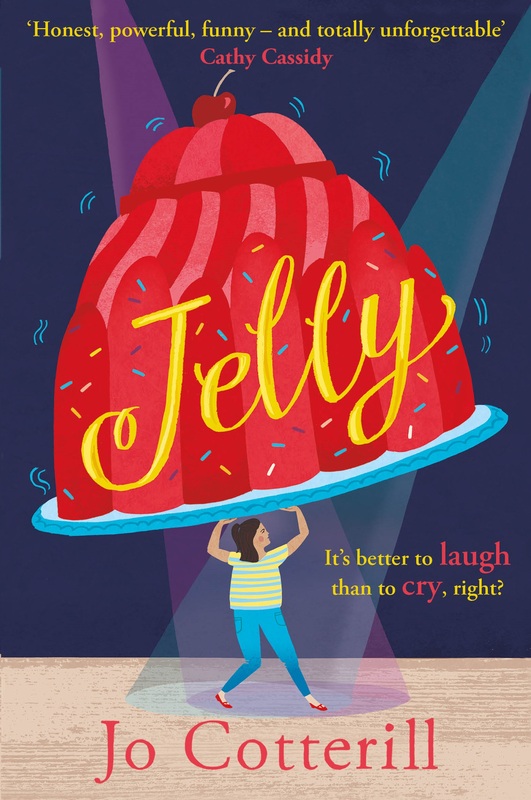 I wrote a review of Pea’s Book of Birthdays right here on this blog, and when I’ve read the latest, Pea’s Book of Holidays, I’ll review it too. Susie had made and decorated a cake, and I took along some ice cream cupcakes too (you make them like ordinary cupcakes but you put the batter straight into an ice cream cone and bake them like that! Will do a post about it soon). And I also made Susie a pop-up castle card because her new book has lots of Enid Blyton references including a castle. I’ll do a post about the card too because I really enjoyed making it and it was dead easy! Susie read from the book and was generally fabulous, and it was really nice to catch up with fellow authors Cas Lester, MG Harris and Julia Golding and also to meet Robin Stevens, whose debut Murder Most Unladylike is out now! Susie has blogged about her launch on her website, and you can see lots of the photos I took and the fab cake! 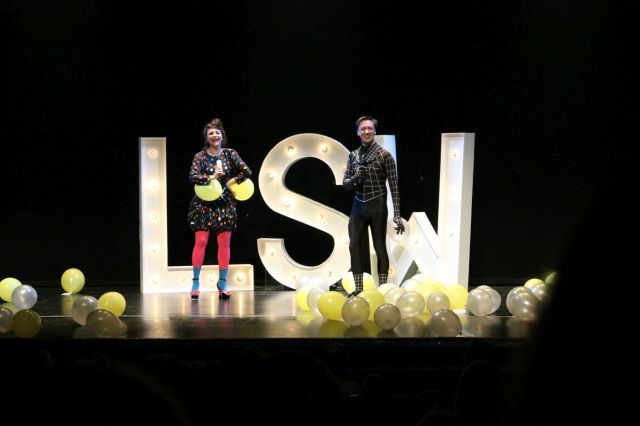 Laura and Steve answer questions tied onto balloons – great idea! 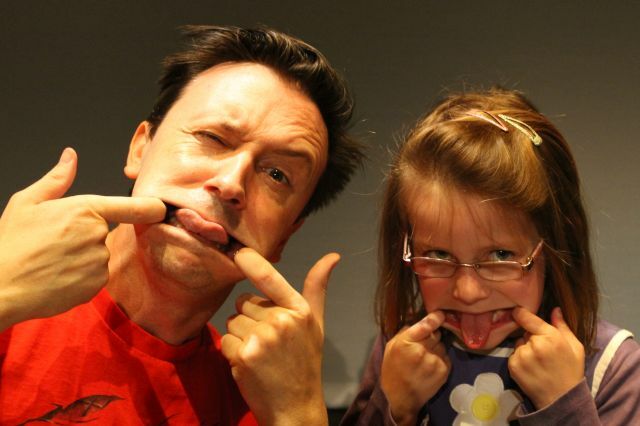 And then on Saturday I took my daughter Jemima to Richmond Theatre (which is BEAUTIFUL) to see Laura Dockrill and Steve Cole in action at the Little Star Writers Festival. Both of them are highly experienced performers and both were fantastic on stage. Laura was very inspiring when she talked about the importance of being yourself, even if that means being a bit different, and I loved the poem/rap she read from one of her Darcy Burdock books, which was funny and clever and sad all at the same time. Steve, dressed as Spider-Man (because why not? ), had Jemima in fits over his vampire cucumber poem (“he said POO-CUMBER! !” she giggled, before copying practically everything he did on stage) and his Aliens Stink! song, which managed to get several rude words in (e.g. ‘bum’ and ‘fart’ which Jemima again thought was THE FUNNIEST THING EVER) without actually offending anyone. And I was astonished at how high he can leap! Were you good at high jump at school, Steve?! 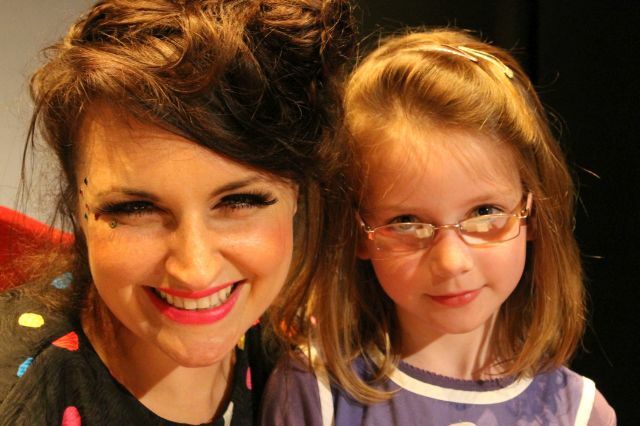 I’d assumed that we would head home after the events on stage, but Jemima wanted to buy books and have her photo taken with Laura and Steve – so we joined the VERY END of the queue. The wait was long (because both authors made time to talk to their fans, which was absolutely right) but worth it, according to Jemima. 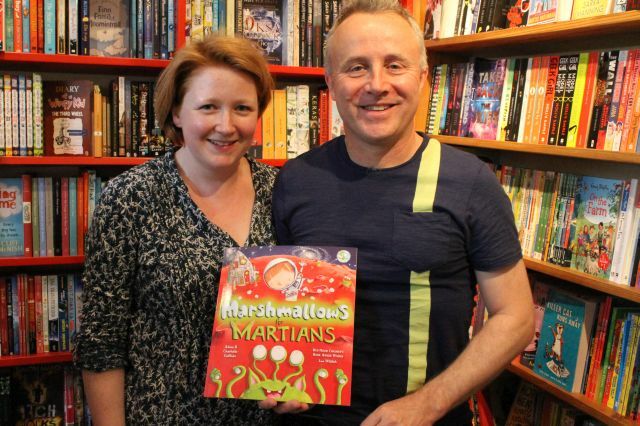 And THEN on Sunday afternoon, Jemima and I (and my mother) went to ANOTHER book launch: Marshmallows for Martians by Adam and Charlotte Guillain, at the Woodstock bookshop. Marshmallows is another story about the explorer George, the hero of Spaghetti with the Yeti, which is a firm favourite in our house. There were (of course) marshmallows to eat, and books to buy, and costumes and props to wear whilst Charlotte read the story and Adam played the guitar. I particularly liked the ‘Bangbots’ – aliens who have cymbals on their bottoms and who clash them together to make noise. I accidentally bought two more books while I was in the Woodstock bookshop – well, you have to support local independents, don’t you? So my ‘To Read’ pile is now looking alarmingly (and enticingly) high!